Don't forget the Big Sky Shop Hop starts this Friday and runs through June 27th. Grab a passport and head on out to the many shops around Montana. 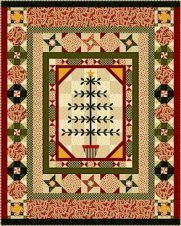 Be sure to pick up a clue in your circle to make a Mystery Quilt by Debbie Caffery. Each circle will have its own mystery quilt. Print your passport, and read the about the rules and details here! In Store Batik Reduction Sale! 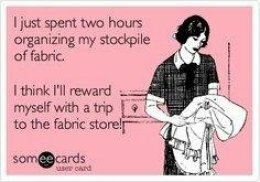 We have gone through our batik section and have selected several bolts for a 30% off clearance! Come in before they are gone! We have had a light class schedule but our classroom is always open for groups to use. Just call ahead to check if it is use. We are also happy to schedule a class for a group upon request! 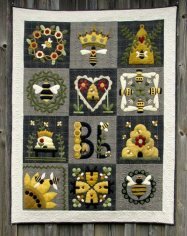 Join Toni for a beautiful new block of the month! She is teaching her own mystery pattern "Under the Big Sky" and/or "Desert Stars". The final quilt is a mystery! Kits include all foundation pieces and instructions. These stars are gorgeous! 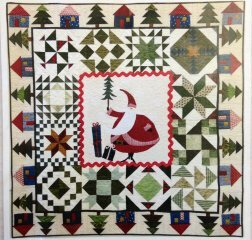 New Block of the Months!!! Call the store to reserve your blocks! FYI- Looks like a great class for our region! Gail Harker's 5-day Experimental Hand Stitch class being held in Kalispell June 24 - June 28th. With 2 shop hops there many opportunities to reward yourself!